This Epson scanner has been discontinued. 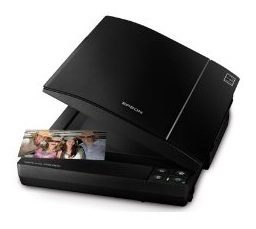 Check out the current recommended photo scanners from Epson. The Epson Perfection V700 is a high-priced scanner for the serious photographer or anyone who needs high quality scans of film and slides. Sure, it is called a photo scanner and can certainly be used for such a function, but all of the additional features that contribute to the higher cost are really only needed for film and slide scanning. If you just need to scan some photos, then the V700 will likely be more powerful than you need, unless perhaps you are doing extensive photo restoration work. 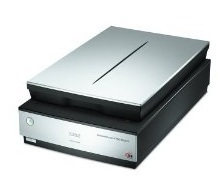 The Epson V700 is one of the many models in Epson’s Perfection scanner line. Epson has a great reputation in the scanner market and along with Canon makes some of the best photo and film scanners. 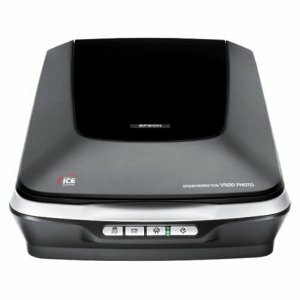 The V700 has many great features standard with Epson scanners, but also some unique features that separate it from the rest of the Perfection line. Many of the basic features of the V700 are common features of Epson scanners. Things like Easy Photo Fix and Digital ICE can also be found in some of the lower models by Epson. Digital ICE is a great feature when scanning very old photographs or old negatives and slides which are damaged. But what separates the V700 from the rest of the Perfection line is its high resolution for scanning film as well as its high optical density. It is the hardware of the V700 that gives in such superior performance for film scanning, but those specifications are difficult to compare with other scanners. The V700 is also superior to most other scanner models with its ability to scan large format film and its higher capacity slide and film mounts (you can scan more slides at once). Optical density is a specification that is hard to judge as Epson’s competitors do not seem to report it. According to Epson, the high optical density of the V700 helps it improve image quality through enhanced tonal ranges and gradations. Epson makes a point to emphasize the high optical density of the V700 even more than the optical resolution. 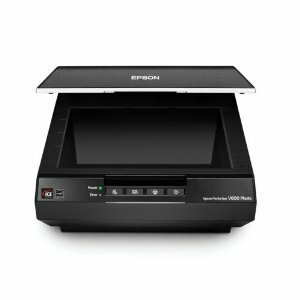 For comparison, the Epson V600 possesses an optical density of 3.4 Dmax and is considered a step down. The Epson Scan software is the standard for all models to operate the device. All Epson scanners also seem to come with the OCR software for converting document scans to editable text but it is doubtful you would use this scanner for many documents. Epson also includes Photoshop Elements, a photo-editing software from Adobe, with all of its higher end photo scanners. But the inclusion of the SilverFast scanning software is an upgrade for the V700 and allows for advanced image enhancing. Customer reviews of the Epson V700 are very good. The Epson V700 and the V750 are recommended on many photography forums as the best flatbed film and slide scanners and are being used by more professionals since the preferred dedicated film and slide scanners made by Nikon and Minolta are no longer manufactured. Some of the complaints about the V700 are the usual software issues that some people experience. This is actually common with most scanner reviews and may be specific to certain computer setups. Some people were also surprised by the size of the scanner. It is 12” x 20” x 6” (WxDxH) so make sure you have the room to accommodate it. The other complaint about this scanner was a lack of a manual but it appears there is some basic users guide available on the Epson website. 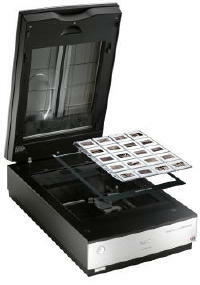 Overall, the Epson Perfection V700 is a top of the line film and slide scanner. For anyone with large format film to scan, this may be the only option you have. There are certainly cheaper film scanners within the Epson family than the V700, but for excellent image quality and speed the V700 is recommended even by the professionals. If you have a lot of slides and negatives to scan or have damaged slides that will require some restoration work, the V700 is certainly worth checking out.